How to Protect Yourself Financially Against Cancer? No matter how good we take care of ourselves, there may come a time when we experience a health scare. And when the cause of the same is a critical illness like Cancer, it is not only traumatic enough on its own but requires dealing with the added trauma of financial ruin due to the high treatment cost. Worst, as people embrace unhealthy and more fast-paced lifestyles, the incidence of this deadly disease is only set to increase. As per Indian Council of Medical Research (ICMR) projections, India is likely to have over 8.8 lakh cancer-related deaths and over 17.3 lakh new cancer cases by 2020. This alarming statistic can make anyone anxious, but the fact is that diverse types of cancer are being diagnosed every day, and cancer is now a common disease globally. While you can take practical steps to protect yourself against cancer by eating a healthy diet, exercising regularly and not smoking, you cannot eliminate the risk altogether. Irrespective of physical fitness, age, and gender cancer can hit anyone. How Does Cancer Insurance Protect You Financially? Cancer insurance plans offer a lump sum payout to meet the treatment costs. A payout of this nature provides extra funds to live on while you are undergoing treatment. The lump sum payout may be useful to pay off your mortgage, cover your medical bills or for everyday expenses. Moreover, it acts as the much-needed financial security for your loved ones and allows you to focus on your treatment without the burden of worrying about your finances. Most plans offer 20-25 percent of the sum assured upon early stage diagnosis, while the rest is paid at the major stage of the disease. 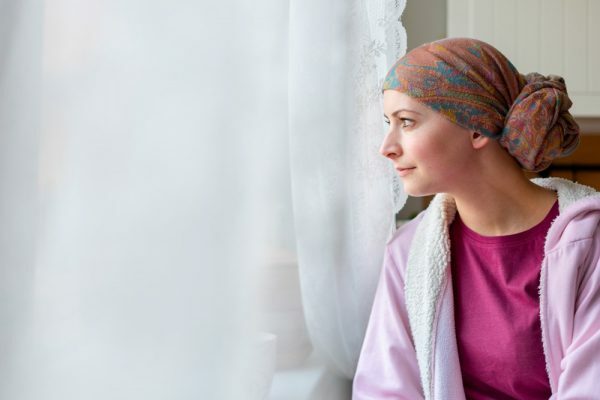 Having cancer insurance in place means not having to worry about losing your income-earning ability during the treatment phase. Courtesy, the income benefit option available with such plans. This benefit offers you a certain percentage of the sum assured monthly on major stage diagnosis, which acts as a regular income stream to meet your financial needs. The waiver of premium option allows you to continue the benefits of the plan without having to pay the premiums. However, this benefit can be availed only once a person is diagnosed with cancer. Cancer plans offer coverage for numerous types of cancer, therefore, letting you enjoy a broader scope of coverage at an affordable cost. Additionally, cancer plans help you avail tax benefits up to Rs. 30,000 under Section 80D of the Income Tax Act. Further, senior citizens can enjoy a higher tax benefit up to Rs. 50,000. Therefore, purchasing such a plan allows you to reduce your tax liability significantly. Most individuals avoid thinking about how they will cope in the face of a crisis such as cancer until it is too late. Don’t be one of them, purchase the right cancer cover and get the peace of mind, knowing that you and your dear ones are covered should the big C strike.